Become an OCBC Member Today! OCBC is a thriving community made up of strong, unified families and individuals dedicated to creating an environment conducive of expressing clear values, developing strong, interpersonal relationships, and a foundation of Shin Buddhist, spiritual and cultural connection. Join our community today! We now have two ways to become an OCBC member! New members under 30 yrs old. First time new members over 30yrs old. Annual membership is the traditional way to join OCBC. Click the link below to download the form. 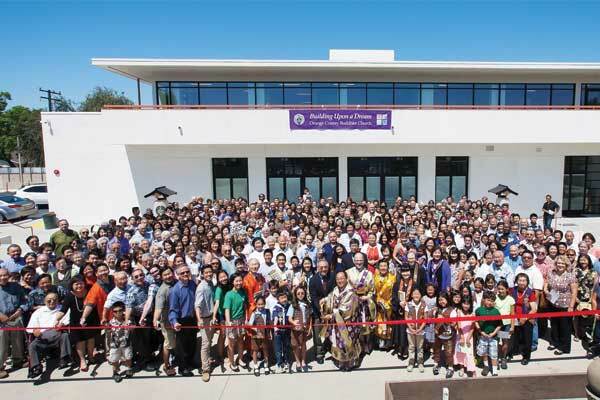 OCBC is the premier center for Jodo Shinshu Buddhism in Orange County helping to spiritually guide thousands each year. Your membership helps to keep the religion thriving each year. *Anyone may attend our Buddhist services and participate in other activities at the temple prior to becoming a member. There are a multitude of groups, events, and activities occurring through the year at OCBC. Your membership allows the temple to annually support these important activities. In Japanese, the word giri means "one's duty or moral obligation." OCBC has been established, built, and developed over many generations. As the next generation, we have an obligation to help keep this important place alive. Your membership is essential to the future of OCBC.